Other than receiving whole milk instead of the non-fat filled latte that I ordered, I must say, the day started off with a tambourine-shaking of a bang! First off, an excellent and very productive meeting: check! Narrowing down weekend plans: check! New trim orders filled: check! It was one of those days when you say to yourself, "What a fantastic moment!" as you smile cheerfully to strangers for no apparent reason. But, there was more to come ... just after closing down my workstation, I received a call, informing me that I needed to come down for a parcel pickup. What? It was a day earlier than my usual parcel drop off, so I was intrigued. Alas, the mystery was solved, and the parcel in question came filled with several goodies, two being jewellery pieces from April M that I immediately adored: a pair of topaz colour earrings and a lovely tortoise bangle. Oddly enough, I don't possess a lot of tortoise in my jewellery collection, so I was very happy with the selections they sent me. 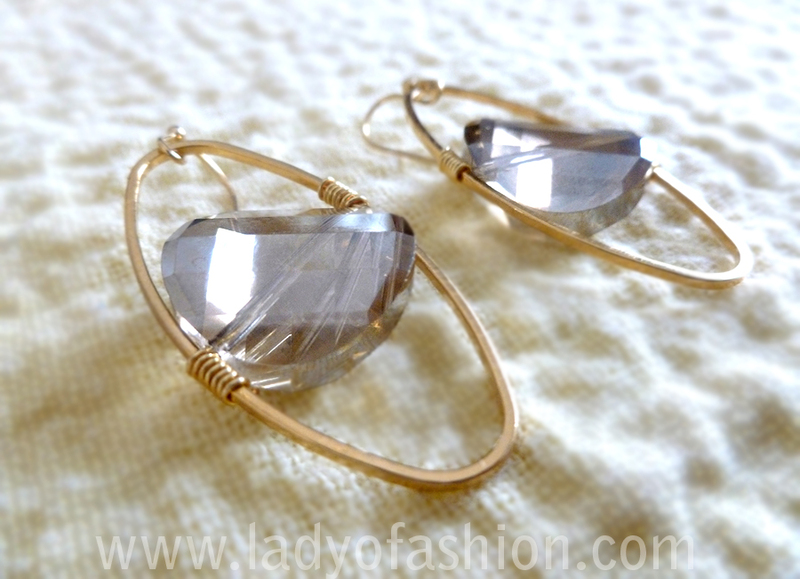 April M is an online boutique that carries modern jewellery for the fashionable woman. Ran by owner and jewellery appraiser, April Matteini, the April M boutique's mission of bringing diverse jewellery to the wardrobe of any style of woman acts in accordance with its affordable price range. The curated collections include items perfect for date night, a wedding, or for your everyday ensemble needing that savvy accessory glow. You may browse some of the new items in their shop here. Count Down begins ... GET READY! Exclusively for YOU, my lovely readers, April M will give each of you 15% off from Sunday, May 27 to Monday, June 4! Not to mention, there's free shipping and gift wrapping that's also included in one mere purchase! Just USE THE CODE: Lady15 at checkout! Limit one use per customer. To help you with your choices here (below) are a few other favourites from the site. The goods: Peacock Feather Belt- DIY, Jewellery: Pono-buckle bangle and Deborah Grivas-earrings c/o April M. This is a sponsored post. All opinions expressed are my own. I like your belt too. 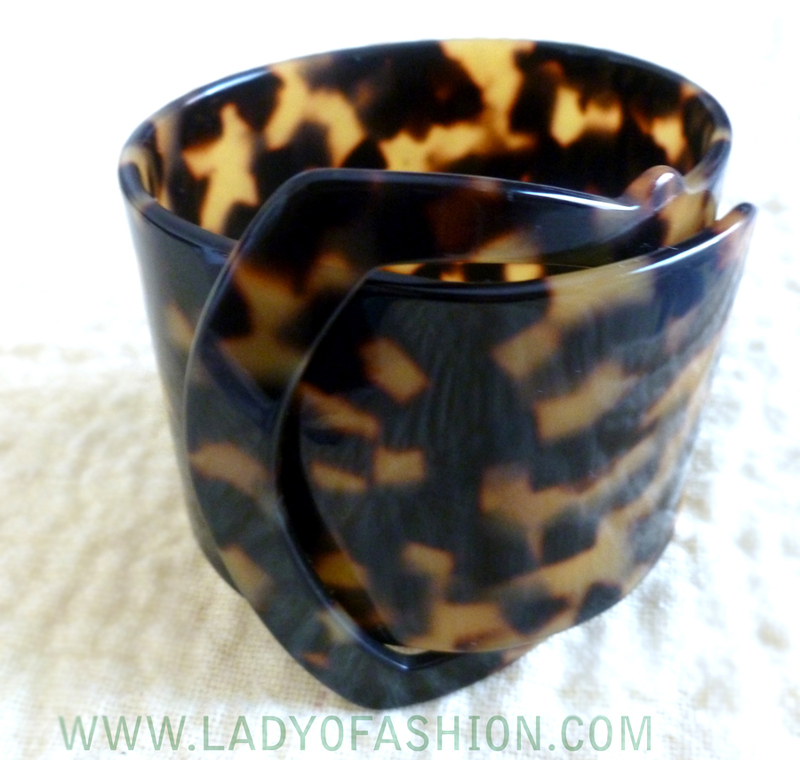 Love love love that faux toutise shell cuff! I love your bracelet ! And your peacock feather belt is awesome ! You look amazing! I like your style, very much! And what for a great bangle! Love it! These are great accessories! I love April M jewelry and I have that set of alchemy bangles. What a beautiful set of earrings, I love the colour of them (very pretty!). BEAUTIFUL:) I thank you for sweei words on my blog and come back and visit me soon. Your bracelet is so, so fabulous. Love it! OMG!!! Aren't these accessories gorgeous????????????? I want that cuff!! These pieces are wonderful. And I love tortoise too:) Will check out the site now. What great pieces! They really are personality filled finds! I love the variety of styles! Have a lovely weekend! Thanks! Yes, I love the colour of those bangles! Thank you! I love it! Don't forget additional 15% savings starts tomorrow! Don't forget additional 15% savings starts tomorrow! xxoo Happy weekend. You too! Thanks and wishing you safe travelling dear. Thanks Amy! They work well with a casual or an elegant outfit! Oooh, what amazing accessories! Totally agree, its all about the accessories that make an outfit. I'd really like that shell necklace...aha. Those earrings are gorgeous. I love their unique look. Yay, so exciting to receive such pretty accessories, love the cuff. Have a great Monday! Love that bracelet! I love that bangle and you look so amazing Madison! I'm finally getting back to reading my favorite blogs again and catching up. I'll be in London in a little over 2 months! Wow nice collection liked them looking beautiful.Would like to wear it nice taste. Love the tortoise bracelet! So awesome! Looks like some great pieces at AprilM! Definitely loving that tortoise bangle. What gorgeous earrings! Love your belt too! Pretty goodies and I LOVE your feather belt! Hope you had a wonderful weekend! 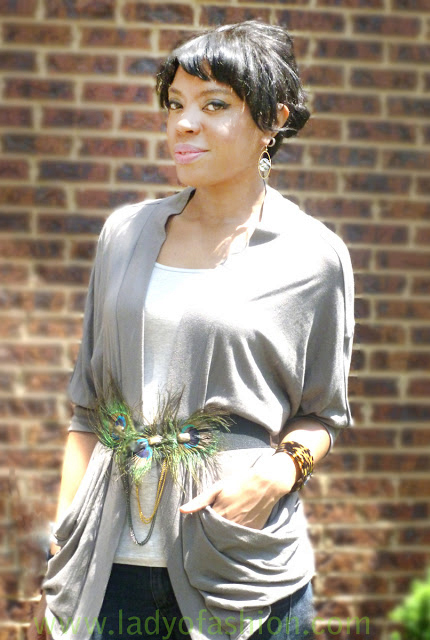 Madison your accessories are amazing... the peacock feather belt is sooooo pretty! !